Regular readers of my blog will realise that the title of this post isn’t really what is to be expected here. However, I’ve had occasion to look at the responses from our three largest trade unions to Ed Miliband’s silly little speech earlier today, in which he provided an object lesson in why we need far fewer career politicians with no genuine labour movement experience. I can’t really see the need to add to what I said yesterday in anticipation of this unfortunate episode except to say that, after listening to the speech, I still went canvassing, or “door knocking” as we now say. 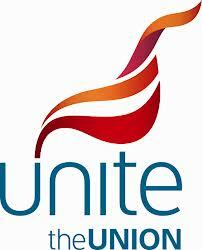 At first glance the response from UNITE looks skilful. It’s the sort of spin we would normally expect from Progress (the Tory fifth column within Labour) but in an opposite direction. Essentially, UNITE are trying to interpret what Ed Miliband said in the direction of what Len McCluskey wishes he had said, hoping to frame the debate in order to influence the outcome of forthcoming discussions about the detail. Unfortunately, it’s not persuasive to anyone who heard what Ed Miliband actually said. It’s quite clear that, like the worst sort of employer, he wants to deal with trade unionists “as individuals” and not collectively, represented by the one with the biggest mouth (perhaps particularly if that mouth belongs to a Scouser). A softly-softly approach to the talks which McCluskey welcomed so gushingly almost as soon as Miliband had sat down is unlikely to cut much ice. We can’t out-spin Progress, we need to outnumber them and out-organise them if we are going to defeat their agenda, which is to neutralise what little is left of trade union power in the Labour Party. Turning to the response from Paul Kenny and the GMB, this is also superficially welcome, being, as it is, characteristically “old school”. The GMB position amounts to threatening a ballot on affiliation. Such a ballot could, of course, only be won through a campaign backed enthusiastically from the top of the union. Therefore, you could take the view that this is shrewd negotiating by a skilled tactician, showing what he is prepared to do if a compromise cannot be achieved. Or not. This might be effective if we were dealing with people who cared about the labour movement or the Labour Party – but the Party Leader aims now to become the willing prisoner of people who believe, as Tony Blair did (and does), that the Labour Party was a historic mistake. Given this, the GMB position will appear to our adversaries as Paul Kenny threatening to saw off the branch on which he is sitting. (The perception of our adversaries may be flawed, but it will influence their response to our actions). I wondered briefly if these two General Secretaries were playing “good cop, bad cop” but decided that was the script for a low budget “straight to DVD” movie. So it was something of a relief to come to the UNISON response. Dave Prentis says, rightly, that this whole issue is a diversion from the real issues which our members expect us (and the Labour Party) to deal with. It is. Progress have eagerly led a (perhaps not unwilling) Labour Leader into a well signposted Tory bear trap which has the dual benefit, for a cruel and failing Government of dividing what we have at the moment instead of an Opposition whilst simultaneously diverting attention from their own failings. If Miliband had felt he needed to comment further he could have responded with references to the many disgraces of Tory funding, as some of us tried to point out in today’s Evening Standard. He did not need to make today’s speech. He chose to do it. In doing so he ignored the pressing priorities of working people, to dance to a tune played by the media, in harmony with “Progress” and the Coalition. The UNISON response is the best of the three both because it is right in its own terms and also because an inscrutable failure even to engage with or acknowledge proposals which you wish had not been made is very often the best opening gambit. So there you are. Dave Prentis is right. Jon Rogers is a member of Sussex LRC, a member of UNISON’s NEC and the Chair of Hanover & Elm Grove Branch Labour Party in Brighton. He writes here in a personal capacity while taking a break from Labour’s by-election campaign in Hanover & Elm Grove. Emma Daniel is the Labour candidate going to the polls on Thursday 11 July 2013, seeking to win a seat on Brighton & Hove City Council following the resignation of the sitting Green Party councillor. As in all public elections, the LRC advocates a vote for Labour.